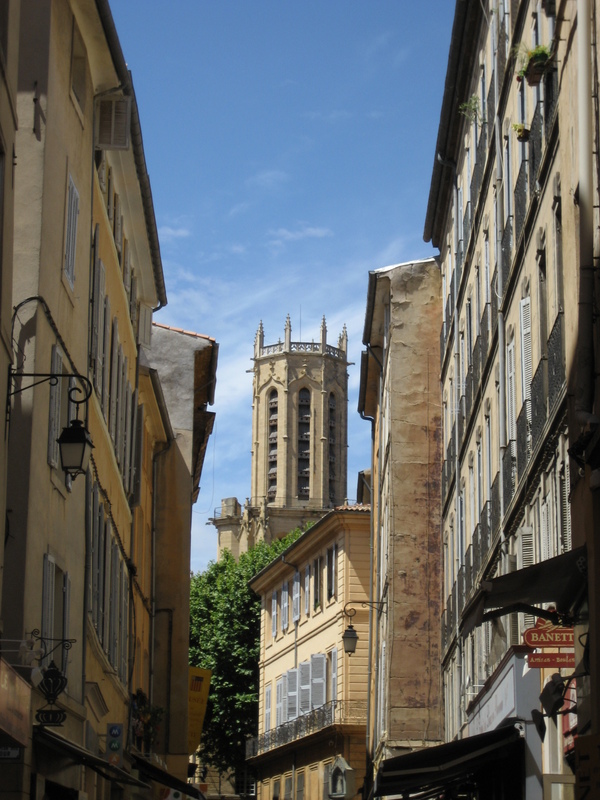 In my university days I spent a semester abroad studying in Aix-en-Provence, France. In my not entirely unbiased opinion it is one of the most beautiful places in the world and I cherish the memories of my time spent there. It is postcard perfect France at its very best, including narrow cobblestone lanes, gurgling fountains around every corner, and amazing food. Thank goodness I was young at the time because somehow I managed to eat a croissant almost every morning for breakfast, followed by a baguette & cheese for lunch, all without gaining a pound. There is no way my metabolism would put up with such nonsense now! The first bite of Dorie’s Mustard Tart (or as she has named it, Gerard’s Mustard Tart) instantly brought me back to Aix. THIS is the kind of food which reminds me of France and makes me return again and again. Because while I like macaroons & steak frites as much as the next girl, THIS for me is what French food tastes like… simple, fresh, and delicious. 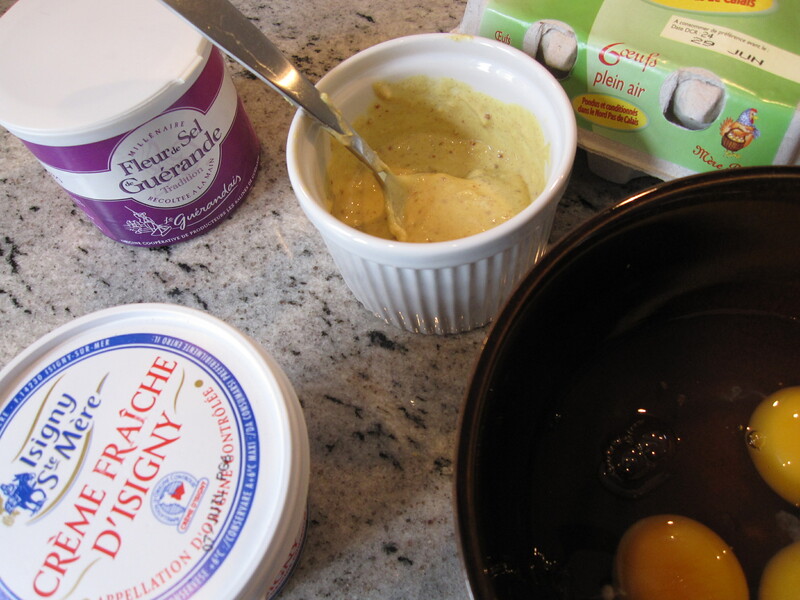 For anyone who is interested in a little taste of France, Dorie’s original recipe was written up in Bon Appetit. 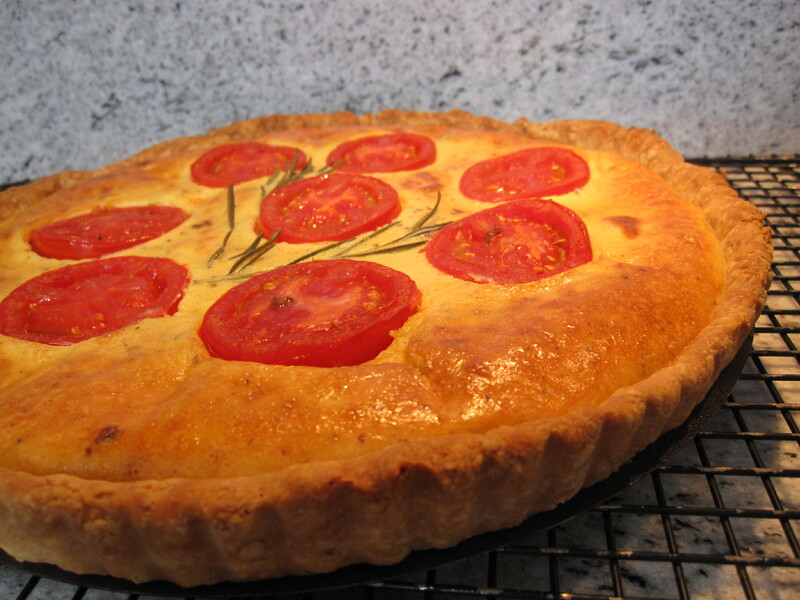 In her book Dorie points out that the classic version of the tart is made with tomatoes, and since we are now in the middle of summer, that is how I chose to make it. In doing so I realized that the tomato version is probably also much quicker since there is less chopping to be done and no need to pre-cook the veggies. Note that this recipe was actually done by the FFwD crew last year and I am just catching up with old posts. 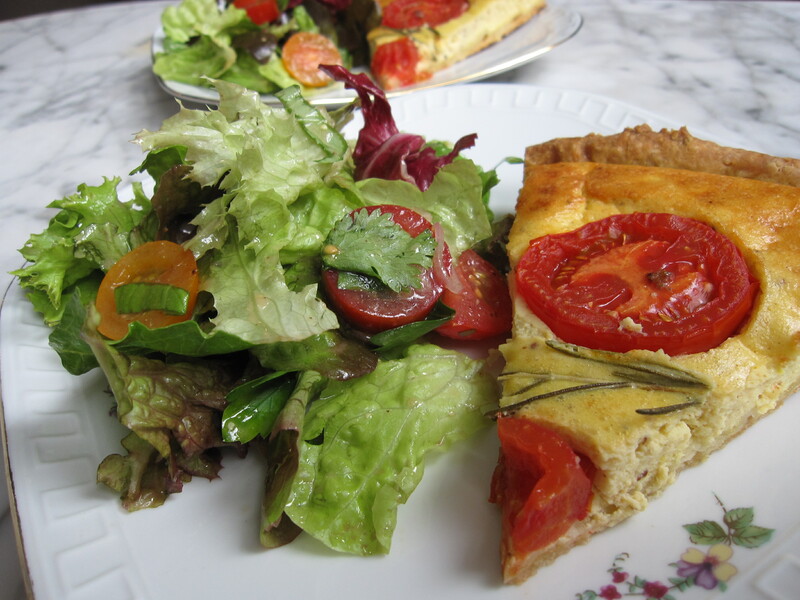 This entry was posted in french fridays with dorie and tagged Around my French Table, vegetarian. Bookmark the permalink. I admit that could be tricky because you can definitely taste the mustard in the cooked tart. I wouldn’t call it a sharp flavor, but it is definitely there. Since mustard is probably my favorite condiment it worked for me, but you may want to tone it down a bit when you make it. Your tart turned out fantastic looking! I remember making this in October. I wasn’t a fan of mustard, but I did like the tart overall. I’m glad this evoked such great memories for you! Your tart looks just beautiful! This was a surprise favourite back in the beginning of French Fridays. I’m not a mustard fan, but I loved this tart. Looking at yours makes me want to try it again with some nice summer tomatoes.